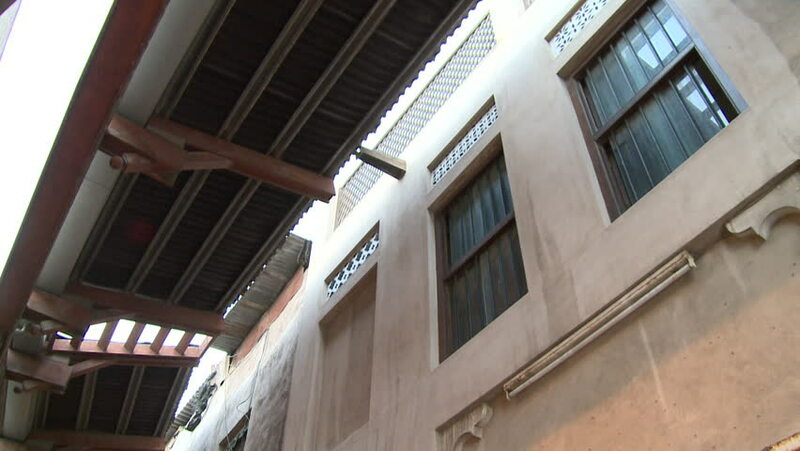 Old Souk, Bur Dubai, Dubai. Tilt down from an awning covering an alleyway in the old souk to pedestrians walking away from camera. 4k00:11[Medium tilt shot of a rusted ladder in an abandoned factory]A medium tilt shot of an old rusted ladder in an abandoned factory. hd00:15A deck with railing on a summer afternoon after a rain shower. sd00:32TORONTO - CIRCA SEPTEMBER 1999: CU of the mechanism that opens and closes the dome roof.